The ID 5000 Bluetooth allows it to remotely link to all computers, as well as the XRS ID Chip Reader, so long as they are within 100m. 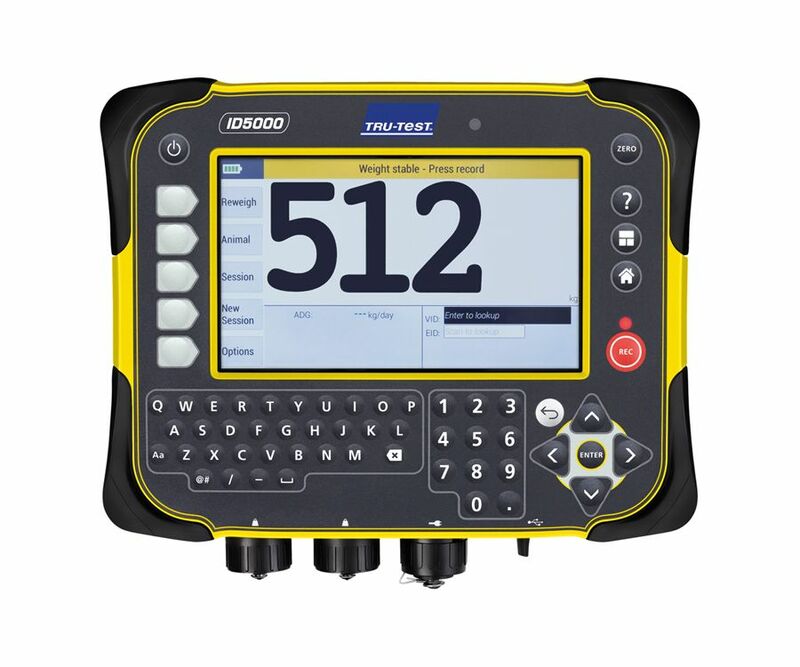 All ID 5000 Bluetooth users can use their Smartphones to easily download data stored on their weight read-out unit. If you go through this link then you will see a short video on how to link your indicator to your smartphone: https://www.youtube.com/watch?v=FDfV2EQbirQ as well as other helpful videos such as “How to record and manage information” or “Using daily weight gain”. Available for all models of the Horse Weigh. This unit includes all the features of the EziWeigh 7 unit, and offers an attractive alternative read-out unit at a competitive price. Wireless communications to Bluetooth EID readers and Bluetooth laptops and PDAs. Fully EID compatible: Ready to run with almost all panel or handheld EID readers. Superdamp III: The fastest animal weighing algorithms on the market, ensuring accurate weight is reached extremely quickly. Entry level electronic identification weighing read-out unit. Computer interface: using cable connection to any PC makes downloading and uploading files easy to do. Memory capacity: 250,000 records in 250 weighing sessions. 50 group files: with date to avoid confusion. IP67 approved: The read-out unit is 100% water and dust proof. It can be submerged to a depth of 1m for 30 minutes. Rugged: Designed and built to withstand the harshest environment and the most punishing use. Statistics: Basic stats on files available, count, average, min, max, total, standard deviation. Drafting (Sorting) ranges: Up to five-way drafting. Internal battery: Runtime (with two loadbars) 14 hours with backlight off, 13 hours with backlight on, with battery level read-out unit. Stable Light: Bright red light to indicate stable weight achieved. Large back-lit display: Easy to read large display, backlight automatically turns on or off as light level changes. Alpha numeric keypad: Easy entry of tag names, file names and field setup, for naming horses with their chip numbers. Average daily weight gain: Show weight gain for animal performance monitoring. Character code field: Store detailed information against every weighing record. 3 fixed character code fields. Report printing: Print reports on statistics, data and file summary via PC or printer. PC: All PC software provided to give PC compatible weighing read-out unit. On screen help available. Comparisons for all the read-out/indicator units available. ±1% or 2 resolutions (whichever is greater) when used with Tru-Test load sensors. Minimum base resolution 0.5 kg (1 lb) normal, 0.1 kg (0.2 lb) fine. Charging Time = 5 hours in normal conditions. Run Time = 13 hours with backlight off in daylight, 10 hours with backlight on. Auto turn off = 15 minutes. C16 connector for power. Use supplied mains power adapter only. 7″ sunlight viewable transflective LCD. IP67, 100% water and dust proof, submergible to 1 m for 30 minutes. -10 to +40 ºC (+15 to +105 ºF). -20 to +35 ºC (-5 to +95 ºF). 2 x Tru-Test standard C16 load bar/cell connectors. Power for up to 8 load cells (350 Ω each). USB 2.0 series A host for flash drive and peripheral devices. USB series Mini-B for cable connection to computer.